As much as I did not enjoy getting very little sleep Saturday night - with getting home quite late after a stellar Robert Randolph and the Family Band (if you don't know him, check him out) concert and daylight savings time taking effect - I sure do love the fact that it's still light out well after 6:00pm now. After work runs up the canyon are calling me! Speaking of running... I am not ashamed to say that I am very happy with how things are going right now and I hope I didn't just jinx myself by saying that. This week I had planned to dial back on my mileage a little bit for an easy week, but I ended up with my highest mileage week so far this year. After weeks of cold, snow, and ice, the sun came out and the mercury rose this weekend. Saturday morning I got in 8.5 sunny miles around Denver followed by a Sunday run of 4.25 miles, part of which was a solid tempo run featuring some very speedy miles. My legs are a bit tired but my spirits are high. This week will be an easy week - even with several beautiful days in the forecast! I'm a big fan of Picky Bars, recently receiving my first Picky Club shipment. They're delicious, easy to grab-and-go, easy to digest, and vegan. But I wanted to try my hand at making something similar, but different. And so became these Chocolate Protein Power Bites. 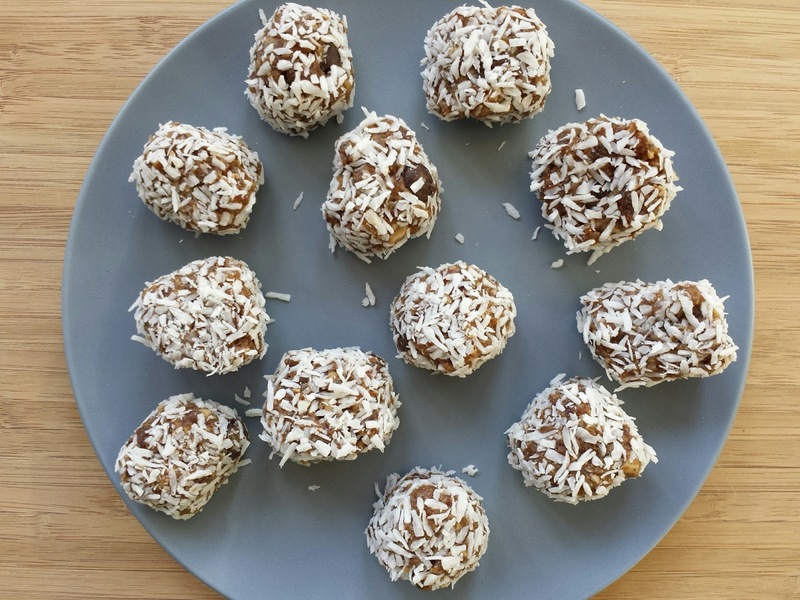 Given my intense - and probably slightly unhealthy - love of chocolate, it had to be a main ingredient in these protein bites. It's a pretty easy process to make this goodness a reality. 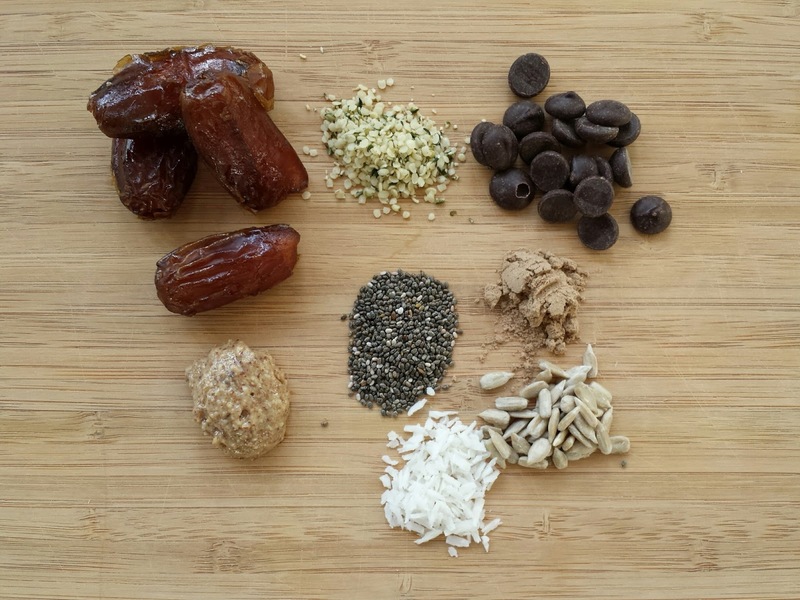 Put the first seven ingredients in a food processor and mix on low till you have a sticky, well-combined mixture and all the chunky date segments disappear. You'll likely need to scrape down the sides of the bowl a few times. Once it's ready, transfer the mixture into a bowl and fold in the chocolate chips. 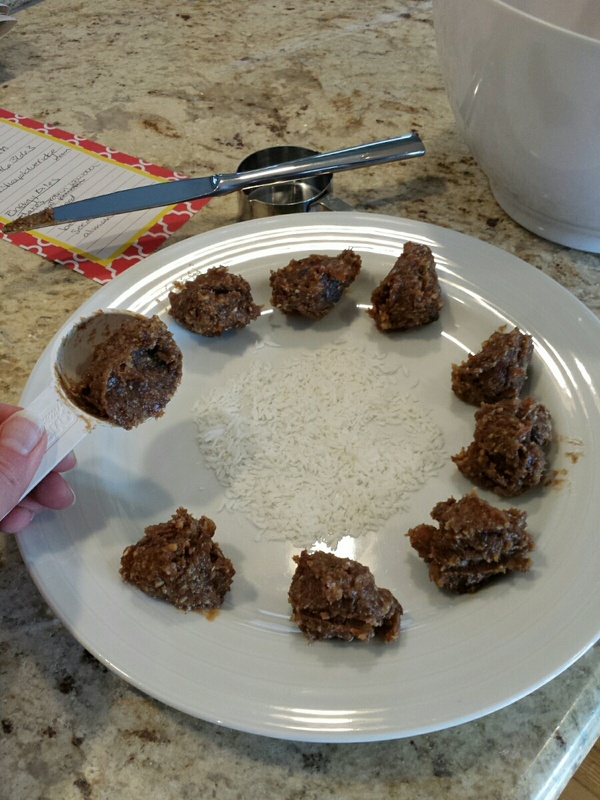 Divide up the mixture using a tablespoon - these bites are slightly less than, to a full tablespoon. I suggest dividing up all the bites before the next step as the mixture is very sticky. 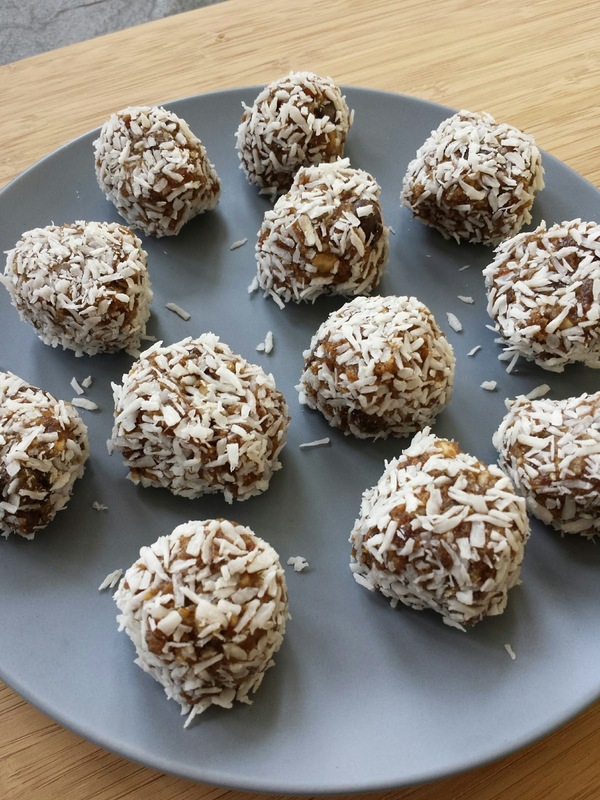 Roll each bite in the shredded coconut and shape as you go - you can tell they're handmade by the various shapes and sizes - then put them in the fridge till you're ready to enjoy. This batch made 12 Chocolate Protein Power Bites. While I don't have the calorie counts for these, I can say that they are both delicious - don't just take my word for it, try them! - and packed with healthy ingredients. The chocolate is an added bonus. What is your favorite healthy 'treat'? 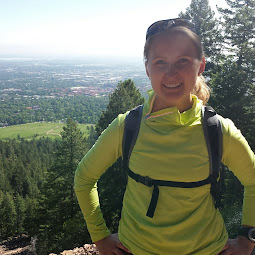 * If you're a runner, how do you decide how many miles to run each day/week? Do you incorporate planned easy weeks? Those chocolate bites look good! These sound really yummy--lots of great ingredients! And congrats on feeling good with your running. That's always such a good place to be! It really is a great place to be. And congratulations on your marathon! Sounds like Napa is the place to go. I agree, that hour mark is a good goal post to keep in mind.